The Senate Ethics Committee has issued a “qualified admonishment” of Senator Pete Domenici for making a telephone call in October 2006 to David Iglesias, then the U.S. Attorney for the District of New Mexico. Domenici called Iglesias to inquire about the timing of potential indictments in an ongoing federal grand jury probe of alleged public corruption. This corruption investigation was, at the time, an issue in a hotly contested congressional race in the First Congressional District of New Mexico. This may represent the first time that the Committee has ever disciplined a Member simply for a communication with an executive official or agency, and its reasoning could significantly increase the risk of ethics violations when a Senator or staffer intervenes with the executive branch. This sentence is not exactly a model of clarity, but it is far from apparent that it means, as the Committee now interprets it, that Senators must generally avoid communications with federal prosecutors or other officials with regard to investigative or enforcement activities. In the first place, the sentence, like Rule 43 itself, focuses on what is permitted, and does not directly address what is proscribed. Moreover, the sentence, like Rule 43 itself, is directed at providing Senators with guidance on what they may do on behalf of constituents (in fact, it appears in a chapter of the Ethics Manual entitled “Constituent Service”) or other petitioners. It is not obvious that it has any application to Senator Domenici’s call, which, as far as we know, was not made on behalf of anyone else. Certainly there is no allegation that Senator Domenici received any contributions or services related to making the call. Domenici’s conversation with Iglesias was not a prohibited ex parte communication. Anyone is free to communicate with a federal prosecutor regarding a matter that is the subject of a federal grand jury investigation, although the prosecutor is not free to provide information regarding that investigation. Thus, although Domenici’s call certainly seems inadvisable (in part because Domenici was attempting to solicit information about the timing of indictments that Iglesias could not or should not have provided), it did not appear to violate any specific prohibition contained in either Rule 43 or the Ethics Manual. As now interpreted by the Committee, however, any communication with an executive agency regarding an investigation or enforcement activity would seem to be suspect under the ethics rules. For example, suppose a Senator communicates with the Federal Trade Commission to urge it to institute, expand or expedite an investigation of the oil companies for price gouging. Such a communication (which would seem unexceptionable under current Senate norms) could be viewed as a violation of the Committee’s guidance on agency communications and thereby subject the offending Senator to discipline. This would particularly be the case if the Senator’s communication were explicitly or implicitly linked to a political consideration such as an upcoming election. As this latter argument suggests, the idea that the legislature might have to rely on the courts for protection or assistance was more acceptable in the United States than it traditionally had been in Britain (see post of April 8). For example, in 1798 the Congress enacted a law permitting a person who wished to contest a congressional election to make application to any federal, state or local court for assistance in obtaining evidence. Under this statute, the judge or magistrate was required to issue his warrant or summons to witnesses designated by the applicant, question the summoned witnesses, and then transmit the transcription of the witness’s testimony to the Clerk of the House. Thus, the law gave the courts a direct role in obtaining evidence for the House to use in fulfilling its constitutional responsibilities in judging elections. In Kilbourn v. Thompson, 103 U.S. 168 (1881), the House exercised its inherent contempt powers to arrest and imprison a witness who refused to respond to questions posed by a committee investigating a real estate financing partnership that had gone bankrupt. The witness brought a false imprisonment suit against the Sergeant at Arms of the House, as well as several members. The Supreme Court rejected the argument that Congress enjoyed the same powers to judge its own privileges as the British Parliament, holding instead that the House’s claim of legislative privilege could be reviewed by the courts. (It concluded that the House had exceeded its authority because the investigation in question was beyond its jurisdiction). Although much of Kilbourn’s reasoning (which reads much like Jefferson’s anti-privilege argument) has been overruled by later cases, its holding that the courts may review the exercise of the contempt power by Congress remains the law, and has not been seriously challenged since. Anderson, Kilbourn and later cases establish that the House and Senate may exercise the inherent power to punish for contempt, including contempt by witnesses who refuse to testify or provide information demanded by either body, but that this power is subject to judicial review. In Britain, each House of Parliament was, at least historically, the sole judge of its own privileges, and the courts had no role to play with regard legislative contempt proceedings. In the United States, however, the courts have the final say with regard to the scope of inherent legislative privilege and the exercise of the power to enforce such privilege may be challenged by way of an application for a writ of habeas corpus or an action for false imprisonment. This is a specious argument. Whether the Speech or Debate Clause would pose a difficulty for the investigation proposed by Senator Coburn depends on the answer to two questions: (1) does the Senate constitute “any other place” within the meaning of the Speech or Debate Clause when the speech or debate questioned took place in the House? and (2) if so, would a joint Senate-House committee constitute “any other place”? These are interesting questions that, as far as I know, are not directly addressed by any precedent. Based on my experience, I would say that the answers are (1) probably not and (2) almost certainly not, but I cannot say that the questions are settled ones. On the other hand, it is undeniable that a Justice Department investigation does constitute “any other place” within the meaning of the Speech or Debate Clause. Thus, while there may or may not be a constitutional problem with the solution proposed by Senator Coburn, there is unquestionably such a problem with the solution proposed by Senator Boxer. Even assuming that the alteration of the text of the Coconut Road earmark violated some law (which is far from apparent), the Justice Department could not constitutionally prosecute any Member or staffer for such action. Moreover, the Justice Department would be barred from obtaining any information from the House regarding the circumstances of the alteration, thus very likely making it impossible for it even to establish the facts of what occurred. 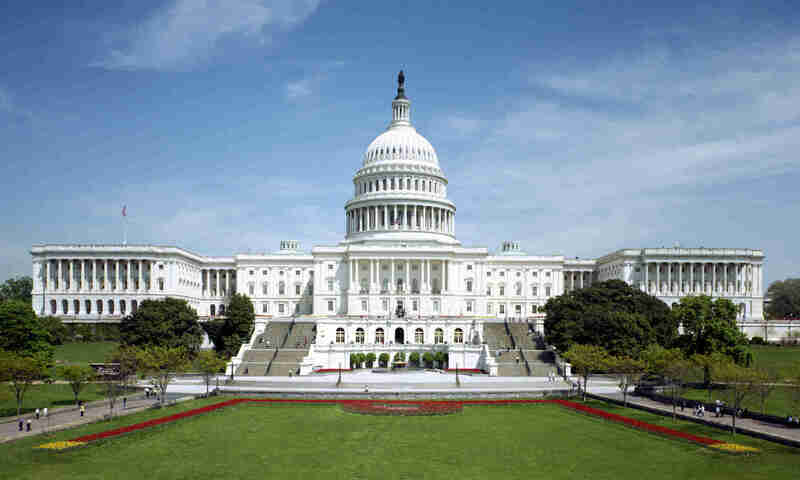 Leaving the legal technicalities aside, it is difficult to imagine what could be more offensive to separation of powers generally and the Speech or Debate Clause in particular than for the Congress to call upon the executive branch to investigate the very core of the legislative process, namely how a bill is physically prepared for enrollment. It is astounding that the same Congress with one breath can decry the “politicization” of the Department of Justice and, with the other, outsource its own constitutional responsibilities to that Department. When the courts attempted to interfere in matters of parliamentary privilege, the Houses of Parliament would typically respond with a forceful—in a literal sense—defense of their prerogatives.As described in J.Chafetz, Democracy’s Privileged Few, not only would the Houses imprison litigants who attempted to seek judicial redress with regard to matters the Houses considered to involve parliamentary privilege, they would imprison officials carrying out court orders and, on occasion, even the judges themselves.With regard to the House of Commons, Chafetz explains that the theory of legislative privilege “denied that the courts (whose judges were royally appointed and whose highest court of appeals was the entire body of the House of Lords) could have any say as to the content, or even the extent, of the House’s privileges; [and] it allowed the House to use its punitive powers to attack anyone who threatened its power and prestige. . . .”Democracy’s Privileged Few 237. It is difficult to translate this recognition of a nearly unlimited right of Parliament to define its own privileges into a limitation on the legislature’s ability to seek judicial relief or assistance if it is so inclined.Certainly the purpose of the doctrine was to protect Parliament from the courts and other outsiders, not to protect the courts from Parliament. Nor was there any relationship between the doctrine of legislative privilege and the concreteness of the injury that was suffered.Chafetz describes, for example, how Parliament maintained that legislative privilege prohibited the courts from punishing several Members who assaulted the Speaker of the House of Commons on the floor in 1629.Democracy’s Privileged Few73-74.Needless to say, the assault produced a concrete, not an abstract, injury, but this was not thought to have any bearing on the application of legislative privilege. Nevertheless, it remains the case that questions of legislative privilege were, by the late eighteenth century, viewed as beyond the province of the British courts. But, as I will discuss in a future post, this broad separation between legislative privilege and the courts, which might be described as a kind of political question doctrine on steroids, was never transplanted to American soil. What puzzles me is that statement that Wynn “refuses to disclose the document.” Section 301 of the Honest Leadership and Open Government Act amended House Rule 27 to establish three new requirements for Members (and officers/senior staff) who conduct negotiations for future employment: (1) within 3 business days after commencement of any negotiation or agreement for future employment or compensation, the Member must file a “statement of disclosure” with the House Ethics Committee; (2) the Member must recuse himself from “any matter in which there is a conflict of interest or an appearance of conflict of interest” and notify the House Ethics Committee of such recusal; and (3) upon making the required recusal, the Member is required to submit the “statement of disclosure” to the Clerk for public disclosure. As the Ethics Committee explains in a March 28, 2008 memorandum (interestingly, issued the day after Wynn’s departure was announced): “All Members, officers, and very senior staff who recuse themselves from official matters pursuant to Rule 27 must complete and submit the recusal form to the Committee. At that time, Members must also submit to the Clerk a copy of the completed employment negotiation form regarding that private entity, which they had previously submitted to the Committee. The Clerk will make that form available for public disclosure.” (emphasis in original). The Roll Call editorial indicates that Congressman Wynn has filed a recusal form with the Clerk. This is somewhat confusing since the obligation is to file the recusal form with the Ethics Committee. Perhaps Wynn is contending that he has not yet recused himself in accordance with Rule 27 but is merely filing a notice of intent to recuse himself at some later date. If he has actually recused himself, however, he is clearly obligated to submit his previously-filed statement of disclosure to the Clerk, and the Clerk is required to make that statement public.